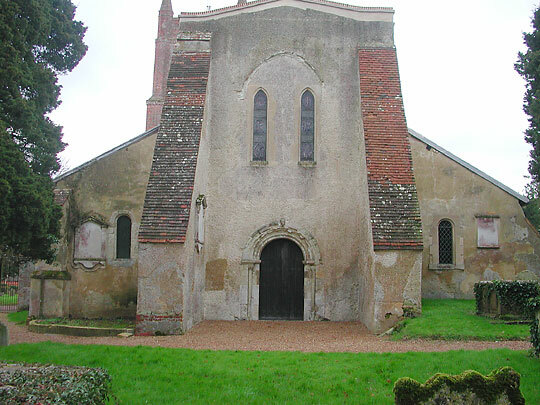 Externally the most prominent feature is the high C17 brick (east) tower with clasping buttresses and arched bell-openings. 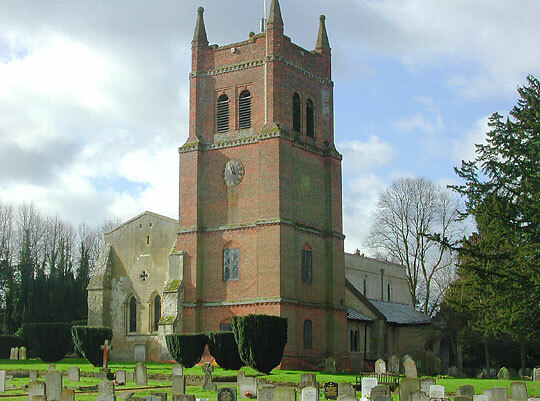 The date must be shortly after 1659, when complaints were made that the medieval crossing tower endangered the walls. 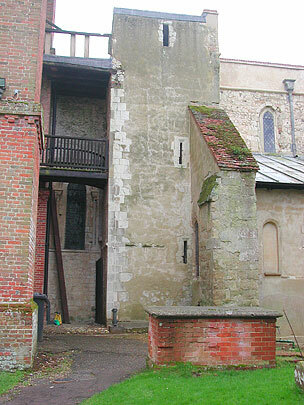 So the crossing tower does not exist any longer, but its NE stair-turret remains (see right). 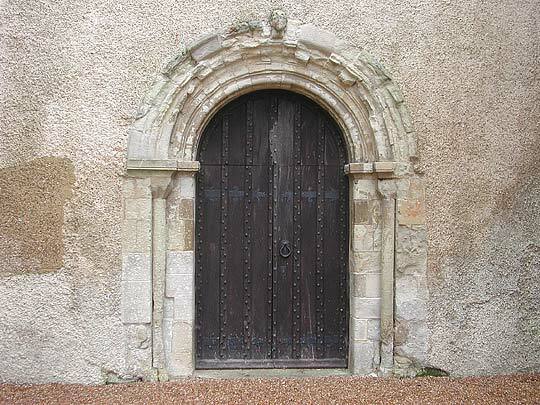 ..
Norman ... W doorway (ex situ) of c.1200 with a richly moulded arch and a head at the top. 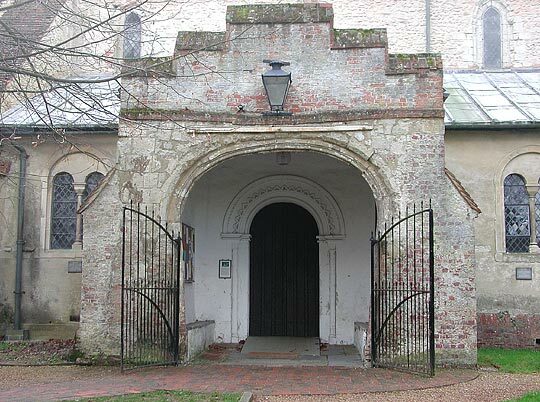 The N doorway must be nearly all of 1847. 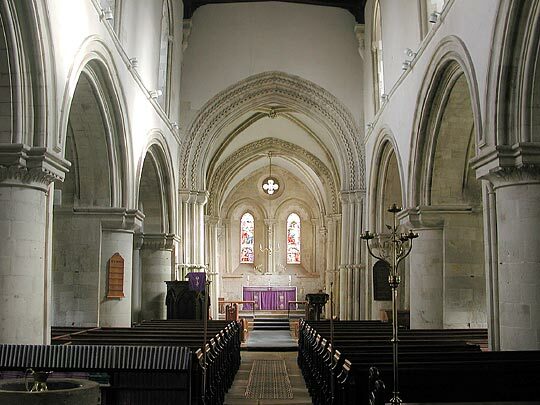 The interior is much more consistent ... Nave and aisles, four-bay arcades, chancel. 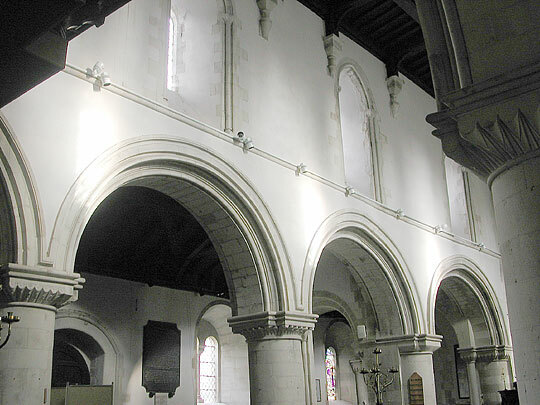 The clerestory windows are tall, pointed, and shafted, i.e. 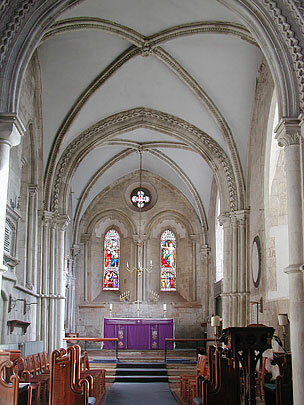 after 1200 So is the splendid rib-vaulted chancel. 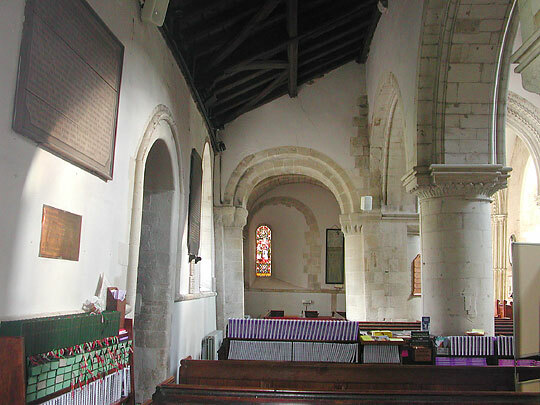 Two bays, ribs with dogtooth. Crocket capitals .. 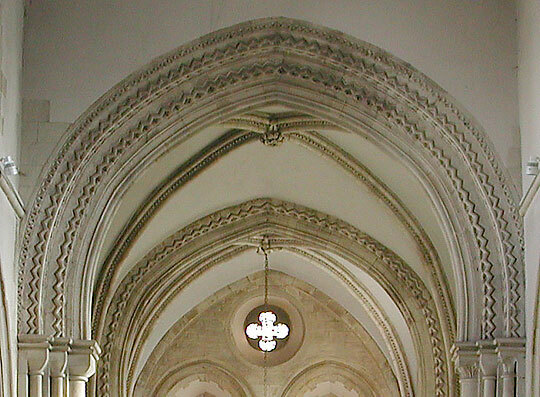 The chancel arch has Norman-looking responds still, but is pointed and has side by side with zigzag also dogtooth.